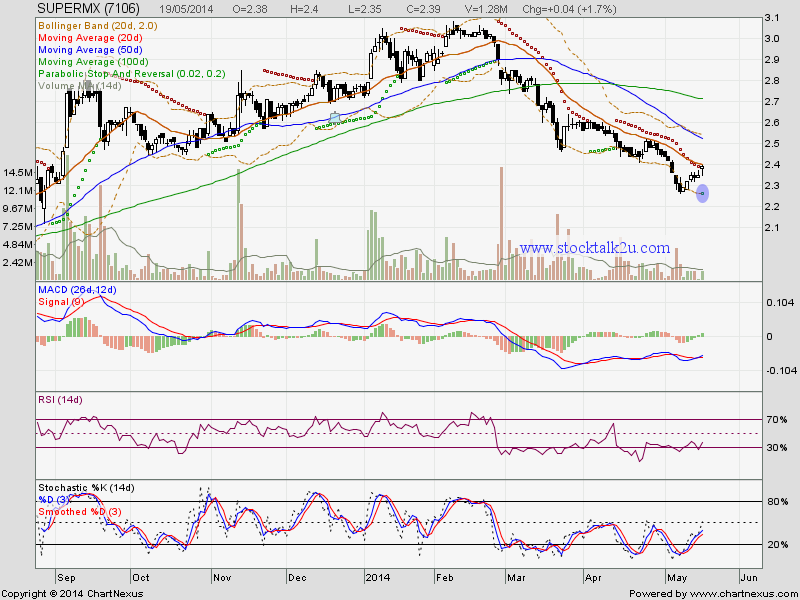 SUPERMX rebound from RM2.27 support level. How high will it go rebound? Stochastic %K at BUY call itinerary. Immediate resistance @ MA20 level. Subsequent resistance @ MA50 level. Immediate support @ RM2.27 level. Subsequent support @ RM2.20 level.